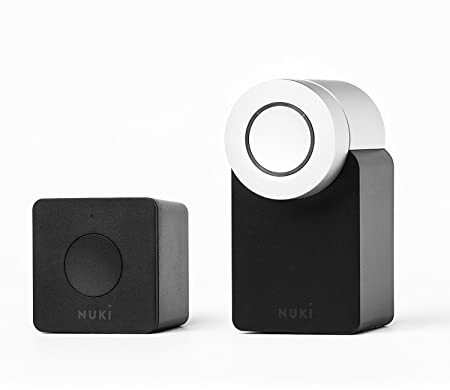 This Nuki Manager was created in conjunction with Nuki to integrate Nuki products into SmartThings. It sits on an existing door lock operated with a key. It supports US levers (lock/unlock) and European knob/bar (lock/unlock/unlatch) style installations. It supports 360 and 720 degree rotations. It also has advanced features such as Lock n Go (US) and Lock n Go Unlatch (European). It runs on 4 AA batteries and requires the Nuki bridge to integrate with SmartThings using WiFi. This SmartApp and device type handler is available on the RBoy Apps Server, http://www.rboyapps.com. Refer to our website or facebook page below for the latest features and to get access to the server. Smart lock for office glass doors? Any approximation on when the Keypad feature might be implemented? I’m guessing this can be used in a routine, as in, whenever X code is input, notify that a certain person has arrived, open the lock… right? All our development was focused around the Bridge since that’s Nuki’s recommended option. EDIT: The software bridge is only used for testing and doesn’t support discovery. Still working with Nuki on the keypad. They’re looking into a few recommendations that would allow the keypad to work seamlessly with ST. I look forward to getting both working. I use the android bridge for a remote office in my garden. I have keypads on every lock (3) so if you need testers let me know I’d love to get who opened the locks with what code in ST.